Aquaculture refers to the growing of aquatic species under controlled or semi-controlled conditions. However, there are a broad range of practices that can be incorporated into this definition. Aquaculture can be used to cultivate a vast array of plants, animals and algae. Aquaculture can take place "in-situ" (in bays, estuaries and rivers) or "ex-situ" (in tanks, ponds and fish runs). ​The growth of aquaculture has been very strong over the last 50 years. Much of this growth has come from the developing world. Aquaculture can also be used for food, feed, fibre, medicinal, cosmetic and consumer products. Aquaculture is an ancient activity having been practiced by the Romans in Europe (c. 2500 BC), in ancient China (c. 3500 BC) and by indigenous Americans and Australians just to name a few examples. 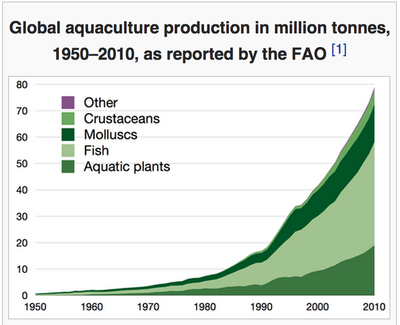 Aquaculture occurs in nearly every country on the globe. However, Asia dominates aquacultural production and China dominates Asian production. 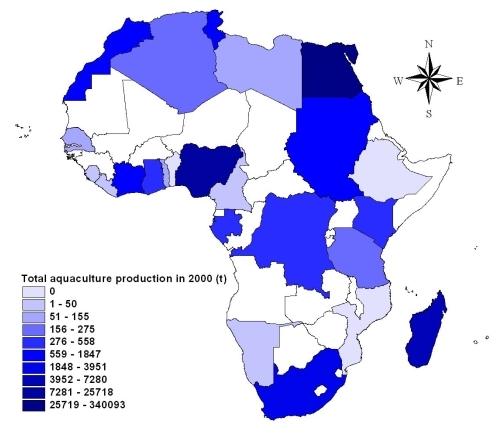 Different species tend to dominate the aquaculture industries of different countries. This may be because of cultural preferences for a species, because biophysical conditions favour a particular species or both. For example, Norway and Chile dominate Salmon farming as they both have an abundance of cold water bays and fjords with high water quality in which the fish can be raised. Aquaculture is prominent in countries with a longer history of the practice or diets that incorporate the consumption of aquatic species. There is also generally less aquaculture production from countries that have large wild catch fisheries. ​Growth in aquaculture is likely to continue. 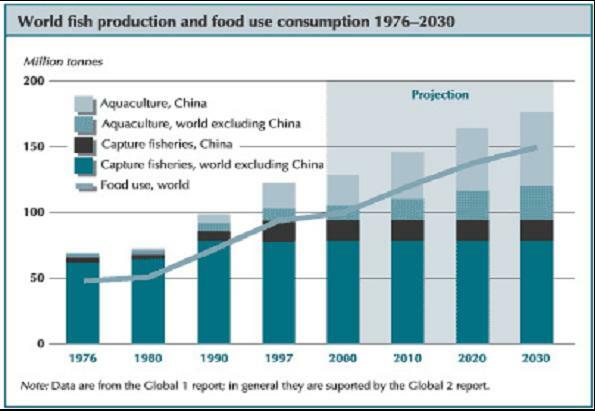 Wild capture fisheries are not being used sustainably and aquaculture is likely to be a source of protein for a growing world population. However, consumers are likely to demand more transparency and ecological sustainability (World Ocean Review, 2016). This will require clearer labelling (ASC, 2012). Aquaculture is likely to be further dominated by Transnational Corporations (TNCs). Technology (biotechnology in particular) is likely to increase yields.